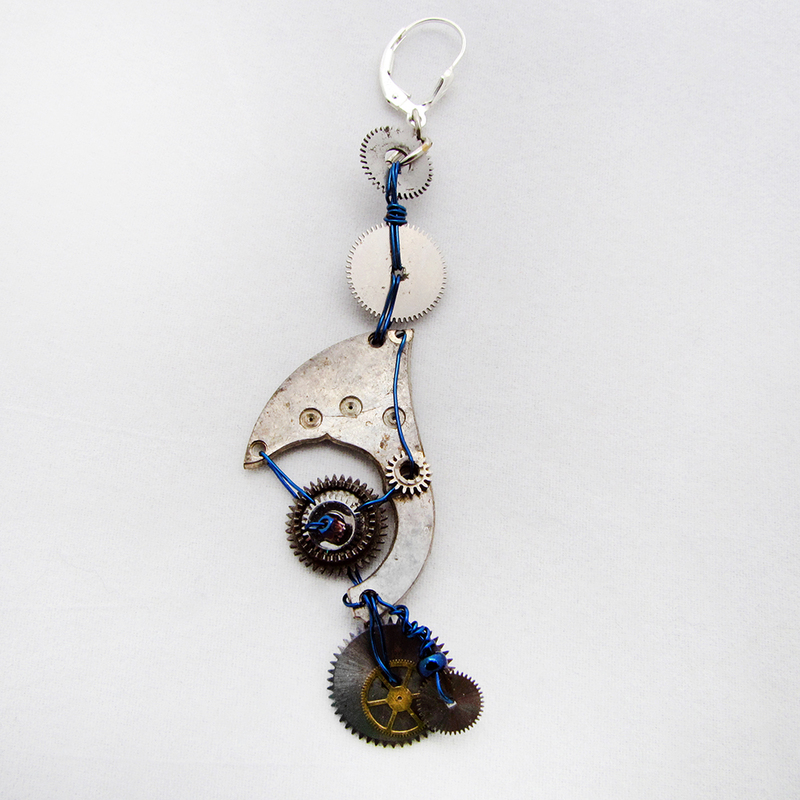 blue wire was used to link these fine, thin wheels and pocket watch gears. Some of them are from wrist watches. One of a Kind earrings.